In this composite image of the Whirlpool Galaxy, the Very Large Array has captured the vastness of this colliding pair like no other telescope can. In white is how the galaxies appear to optical telescopes: one giant spiral galaxy with a smaller one hanging off an arm. The VLA sees a much bigger picture. 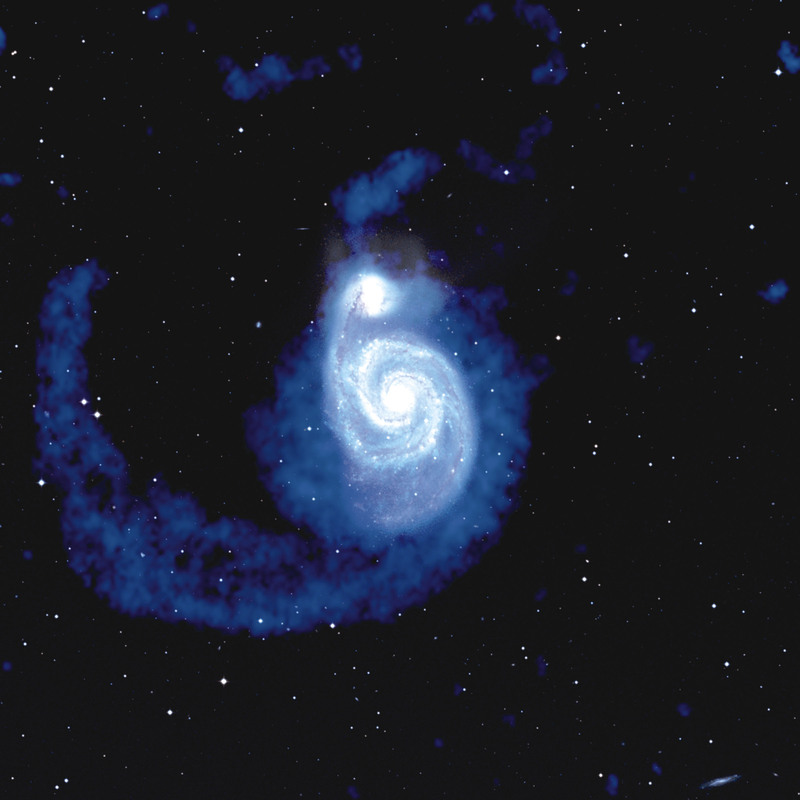 Colored blue are the cast-off gases that were once the outer spiral arms of these galaxies. They\'ve been yanked apart and left when the smaller galaxy passed by.